Anyway here we are now and the theme of the last two months have obviously been making cider. Started off very well indeed. The mild weather in November meant that the trees hung on to the apples so it enabled us to start off with the early varieties.This was a bonus as it meant we got more apples from each orchard. The apples were in very good condition indeed which helps our processing of the apples a great deal. This year has been an exceptional year for fruiting. 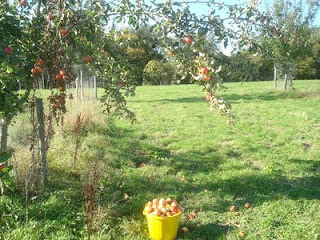 We have estimated that the orchards we used this year have fruited three times as much as last year.